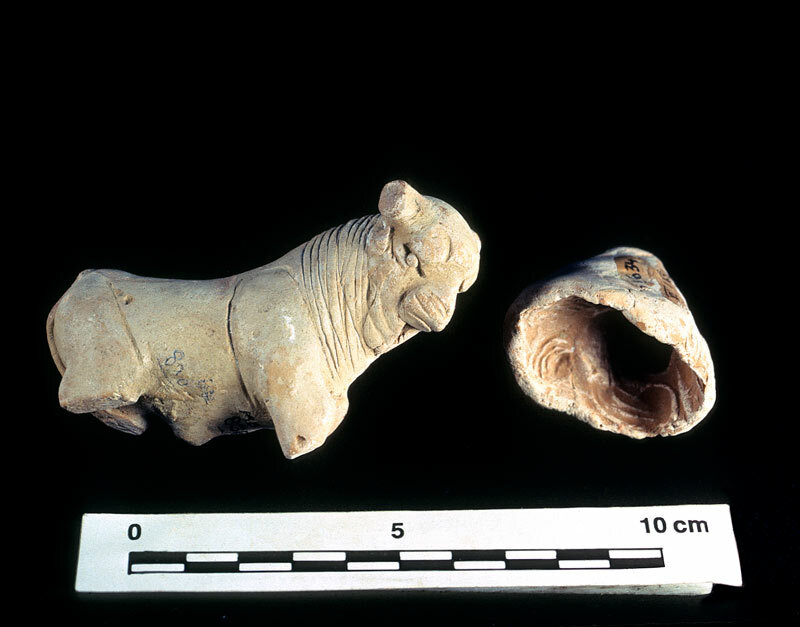 Humped bull figurine with molded head that is twisted to the side, and a mold used to make the head. The legs were made separated rather than being joined together. Hand formed body and attached head. Eyes are carved with appliqué pupils as on the large hollow bull figurines. Right: Mold for making bull figurine head which could then be attached to the hand formed body.